You Should Phone 303-922-9700 for Your Free Storm Damage Assessment Now! 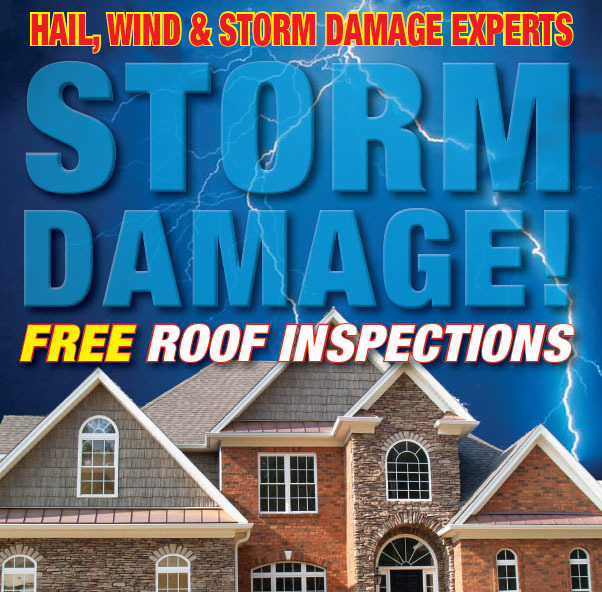 Mountain High Roofing offers Free Roof Inspections for possible storm damage (hail and/or wind) because 95% of all storm damage to roofs cannot be seen from ground level. Mountain High Roofing inspectors will take digital photos to document the damage that might be seen on roofs for the purpose of first showing them to you, the homeowner, then keeping those photos on file on your behalf so that at a later date they could potentially be utilized in furthering a smooth and easy insurance claim process. Our insurance claim specialist will help you file an “act of God”* (act of nature) claim with the necessary information such as, but not limited to pinpointing the particular damaging storm date (insurance carriers vary from about 6 mo. to about 2 yr. as to how far back their respective policies will extend full coverage for the damage that was sustained). Do you have roof leaks? Need roof repairs? WE ARE EXPERIENCED with over 20 years experience in all facets of the roofing industry. Mountain High Roofing prides itself on 100% customer satisfaction. Whether speaking of flat or sloped roofs, shingle, tile or metal, Mtn. High Roofing strives to be the best. Mountain High Roofing offers a 5-year warranty on all labor performed on behalf of the homeowner. In addition to the GAF Warranty on all its roofing products, GAF in conjunction with Mountain High Roofing provides a 10-year warranty on all labor involved with installation of its shingles. During Daylight-Savings time our well-experienced roofing crews can normally complete the whole roofing job start-to-finish in just one day! Call 303-922-9700 for Your Free Storm Damage Assessment Now! We can handle flat roofing jobs as well, call 303-922-9700 for your Free roof inspection now! Applewood, Arvada, Aurora, Bennett, Brighton, Black Hawk, Boulder, Broomfield, Castle Pines, Central City, Commerce City, Denver, Elizabeth, Englewood, Glendale, Golden, Greenwood Village, Henderson, Highlands Ranch, Idaho Springs, Indian Hills, Ken Caryl, Kittredge, Lafayette, Littleton, Lakewood, Meridian, Morrison, Northglenn, Parker, Sheridan, Lone Tree, Castle Rock, Centennial, Roxborough Park, Thornton, Watkins, Wheat Ridge, Westminster, Evergreen, The Pinery, Adams County, Arapahoe County, Boulder County, Broomfield County, Clear Creek County, Denver County, Douglas County, Elbert County, Gilpin County, & Jeffererson County.